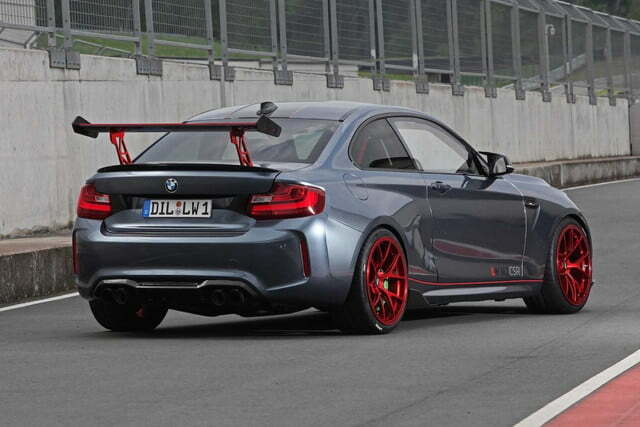 The BMW M2 is by most accounts a pretty good car. 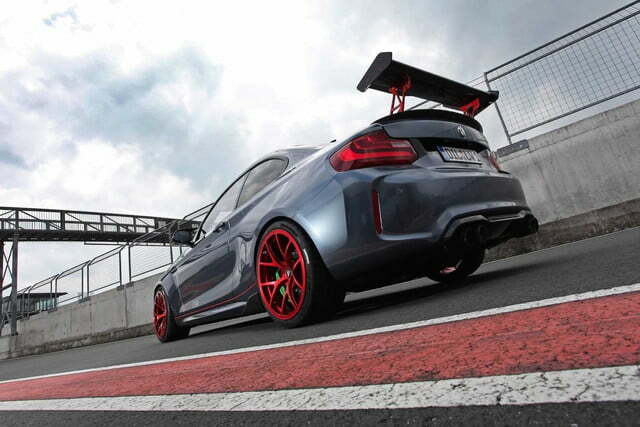 But German tuner Lightweight Performance turned up the volume on the smallest car from BMW’s M division. 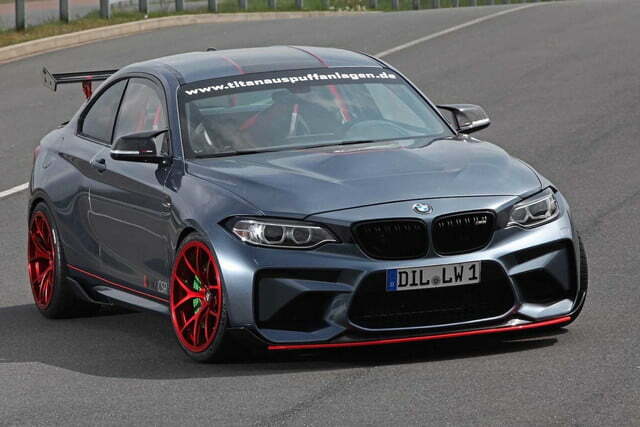 Its creation is called the M2 CSR, for Carbon Sports Race, and it’s both lighter and more powerful than the standard M2. A lot more powerful, actually. 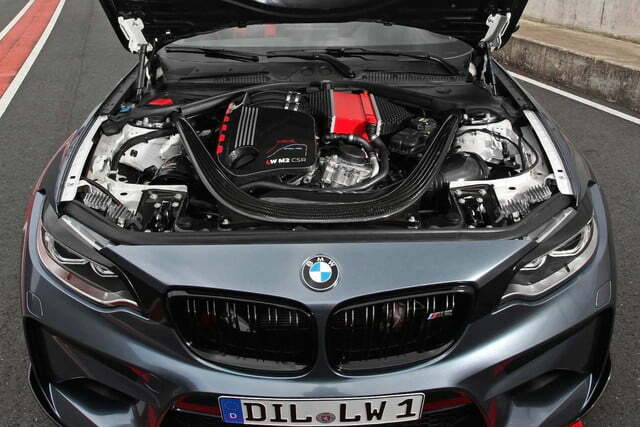 In place of the stock N55 turbocharged inline-six, the CSR uses the S55 twin-turbo 3.0-liter six from the M3 and M4. The engine is tuned to produce 610 horsepower and 568 pound-feet of torque, compared to the stock M2’s 365 hp and 343 lb-ft. With all of that extra power, the CSR will sprint from 0 to 60 mph in around three seconds (about a second quicker than a stock M2), and reach a top speed of 203 mph. The CSR comes with the same transmission options as the stock M2: a six-speed manual of seven-speed dual-clutch automatic. Lightweight managed to shave around 430 pounds of curb weight, in part by by swapping in a carbon fiber hood, trunk lid, and doors. To give the CSR aggressive looks to match its performance, and to help it stick to the track, Lightweight added a big front splitter and rear spoiler. 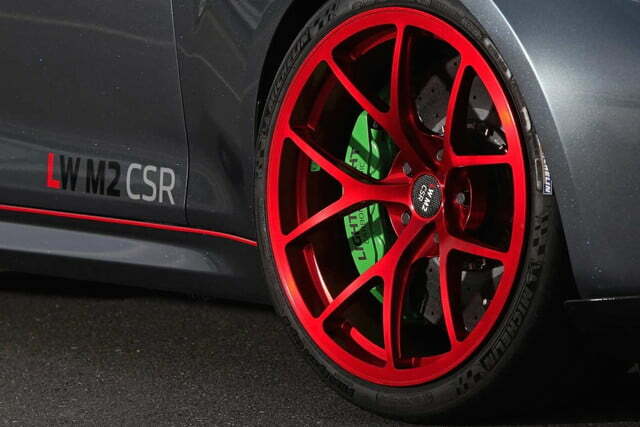 The CSR also gets its own 19-inch forged alloy wheels. 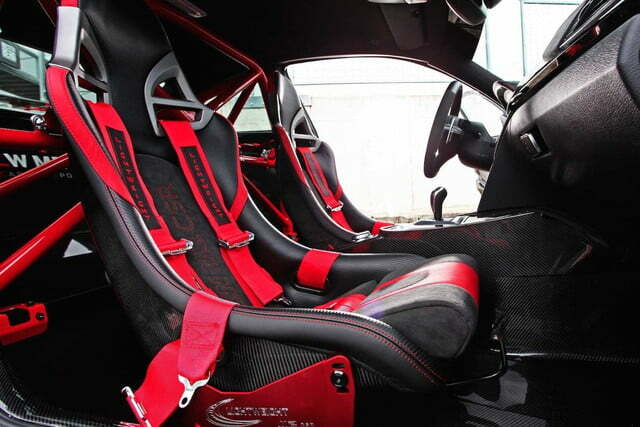 The interior gets lots of carbon fiber and red trim, including accent stitching and even red pedals. 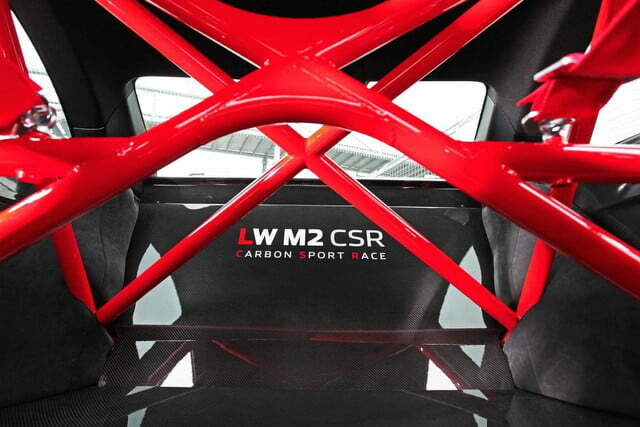 A roll cage is mounted in the rear, and that’s red, too. It will make people take you seriously, or just ask where the rear seats went. 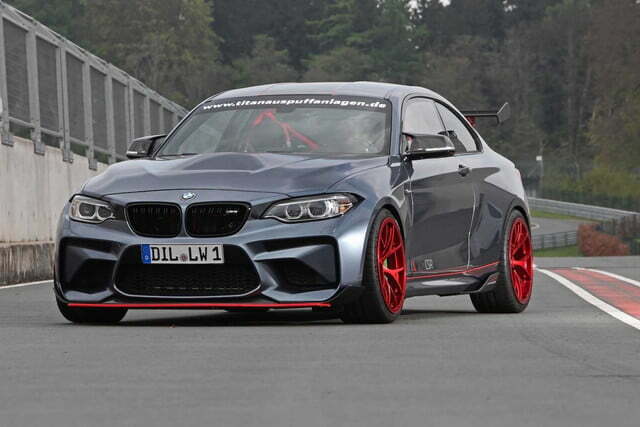 Lightweight Performance plans to build the M2 CSR as a complete car, but it will also accept customer cars for conversion. The company won’t discuss pricing, but if the CSR is your kind of thing, you’ll have to factor in transatlantic shipping costs. 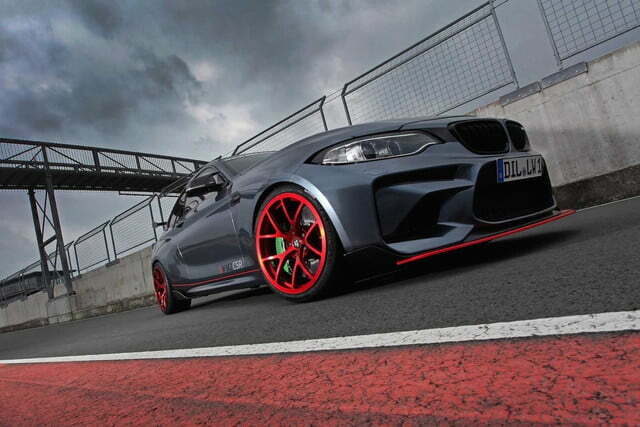 On the other hand, it gives you the opportunity to visit the Nurburgring.